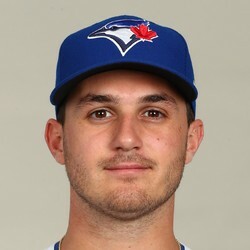 Thomas Pannone (0-2) allowed four runs on five hits while striking out six and walking two across just 2 2/3innings during a loss to the Indians on Saturday. Pannone is off to a rough start this season with an 0-2 record, 5.87 ERA and 1.57 WHIP through two outings. Pannone will probably get bumped out of the rotation when guys come off the IL but for now, is in line to pitch against the Rays next week.